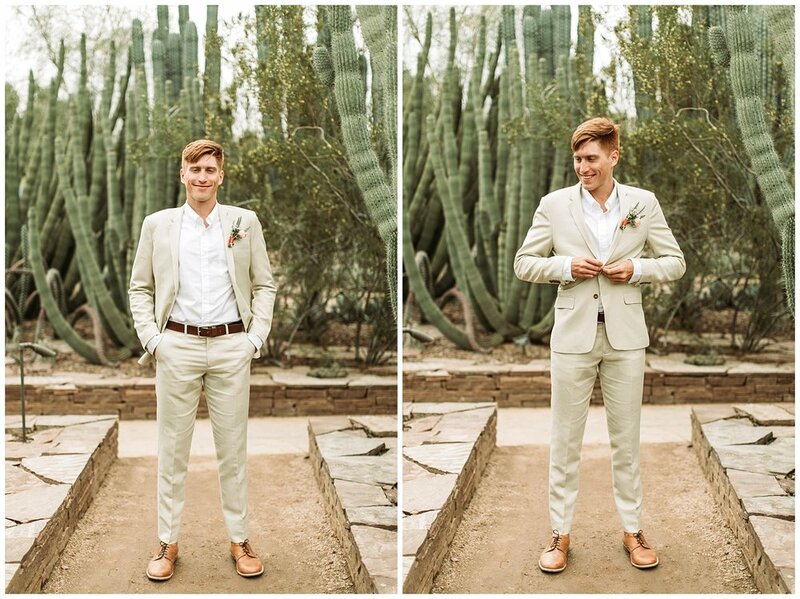 Sam & Cole's love story started when they lived next door to each other in college. 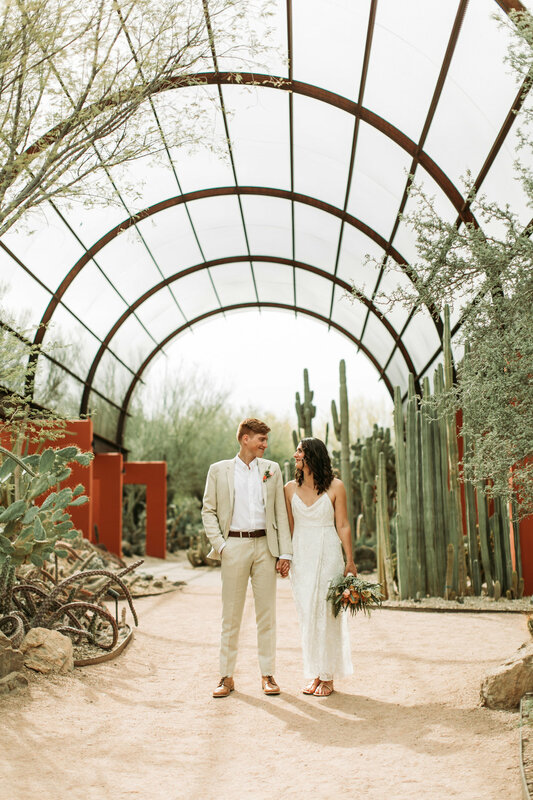 After 7 years of hiking dates, going to the movies, and traveling with their dog Harley, they decided to tie the knot at the beautiful venue: Desert Botanical Gardens! 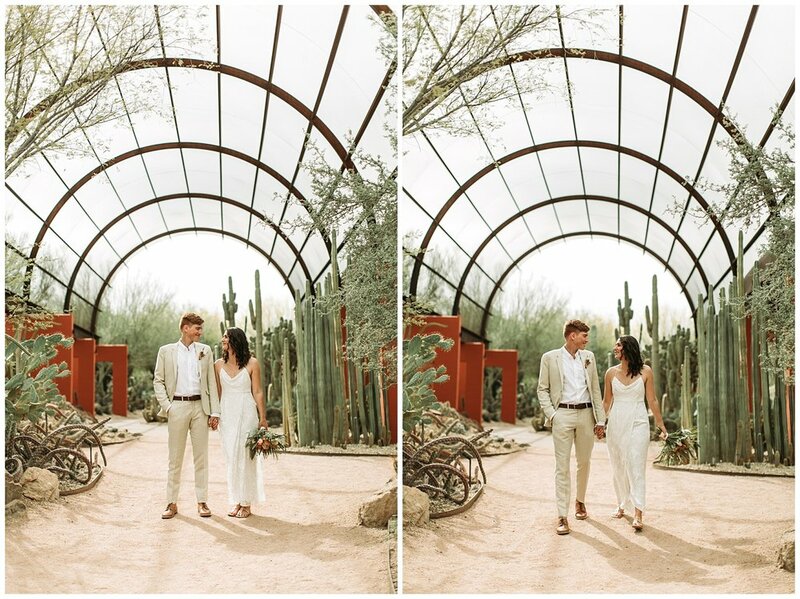 They chose this venue because the desert is their ultimate happy place. 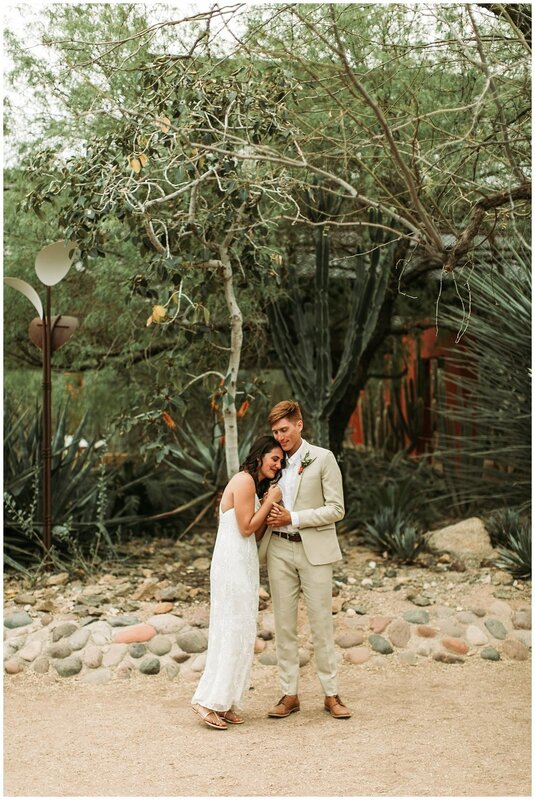 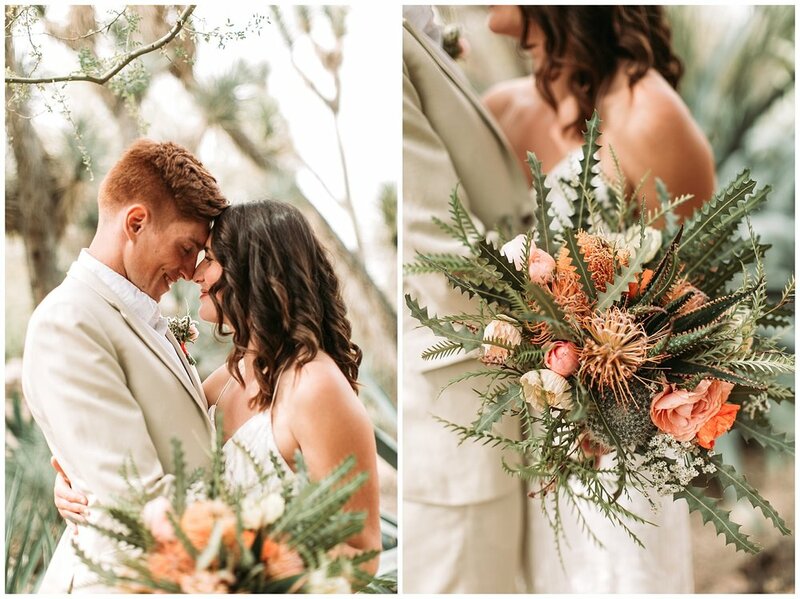 Because the garden is so full of natural beauty, they wanted a clean and minimalist desert boho theme to their wedding day. 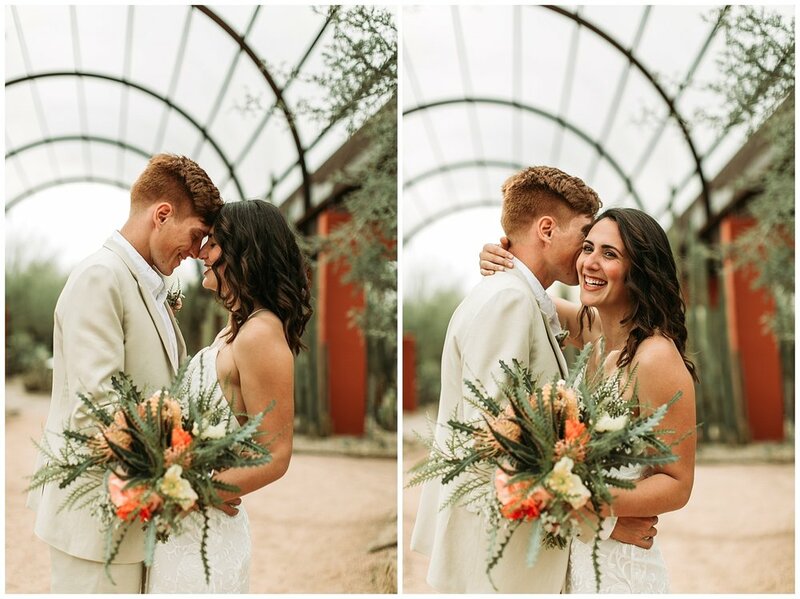 Starting with the first look, you could tell how much love this couple loved each other and how they could not wait until this day! 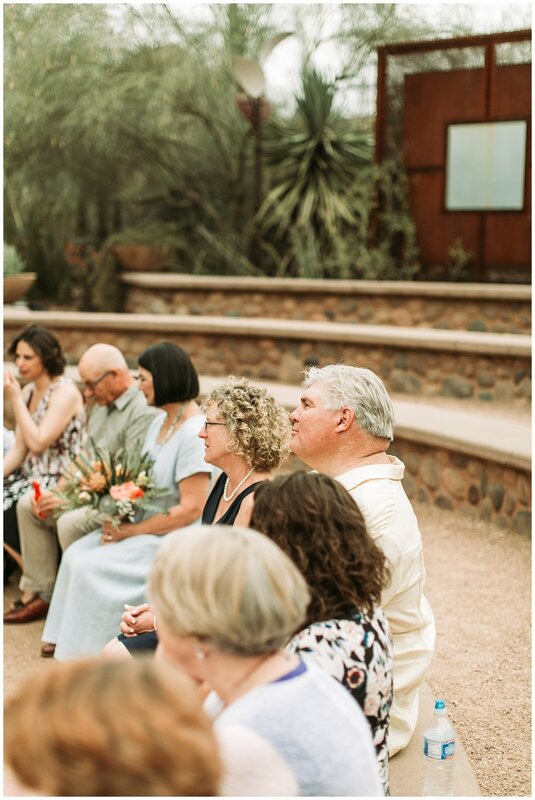 Their intimate wedding ceremony was filled with their immediate family members and lots of happy tears. 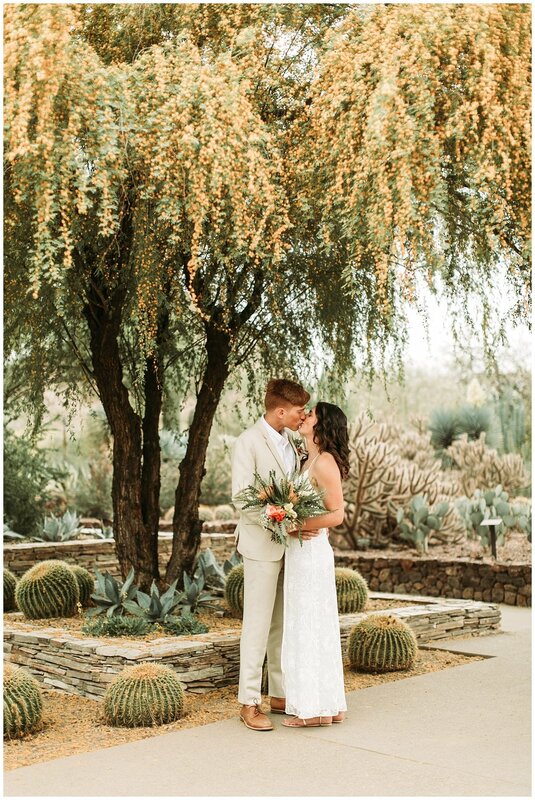 It was such a laid back and beautiful day and I am so happy for Sam and Cole to continue their adventure together as a married couple!